We have gained an expertise in delivering a quality collection of Proximity Systems. These are highly advanced products and majorly used in many applications for their simple field installations and total security features. Our products are most suitable for installing in banks, financial institutions, private safe deposit vaults, factories, warehouses, offices, shops, allied industries, multi-storied buildings, refineries, hotels, residential colonies and hospitals. Database : 30000 Card holders. Outputs : Two Alarm outputs. Dimensions : 25.0 cm(L) x 22.0 cm(W) x 6.0 cm(D). Supply : 12VDC/2A supply with battery charger. Provision to connect 12V/7.2 AH battery. 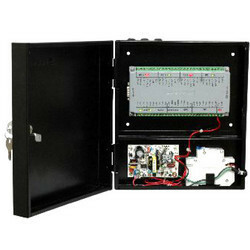 Protection : Miniature Circuit Breaker (MCB) for over current protection. Humidity : RH 5~95% non-condensing. Note : The product prices Range from Rs 13500 to 25000 per piece. 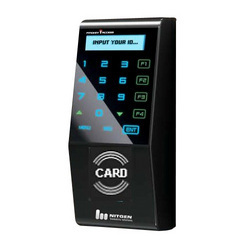 Our domain expertise has enabled us to come with an excellent collection of Proximity Readers. 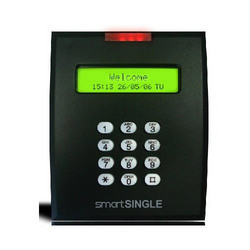 This advanced attendance system is majorly used in many offices for keeping the record of employee attendance. It is easy to install & use and has an internal antenna. This is known to consume limited power and needs low maintenance. Transaction Records from 8000 - 65000. Can be configured in network mode. User Friendly software with detailed attendance features available for LAN as well as. For more details, please click pdf attached.